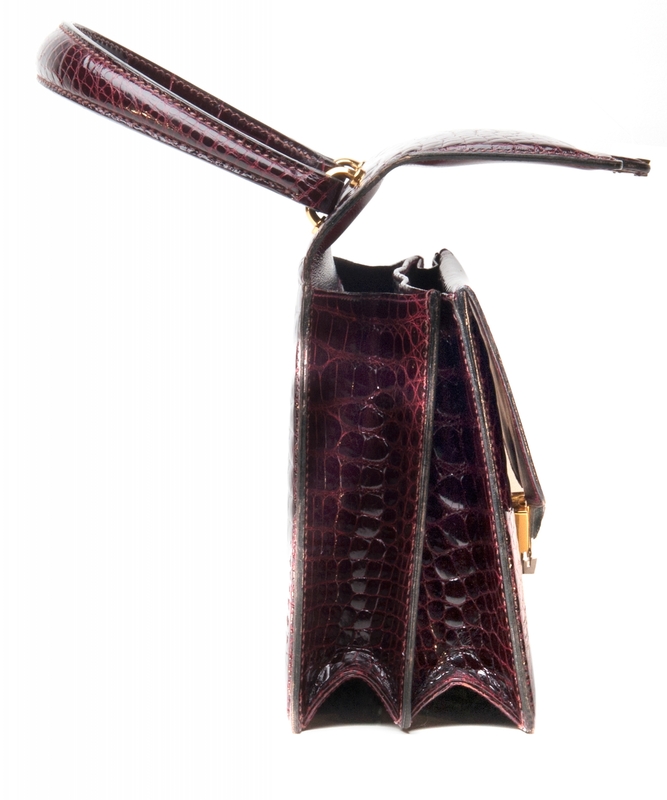 70 years ago this croco top handle was handcrafted in the Gucci ateliers in Florence, Italy. 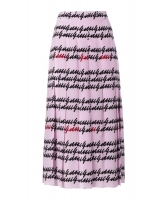 Today we're proud to present to you this spectacular piece of fashion history. The 1950’s were a groundbreaking decade for handbags and it shows. 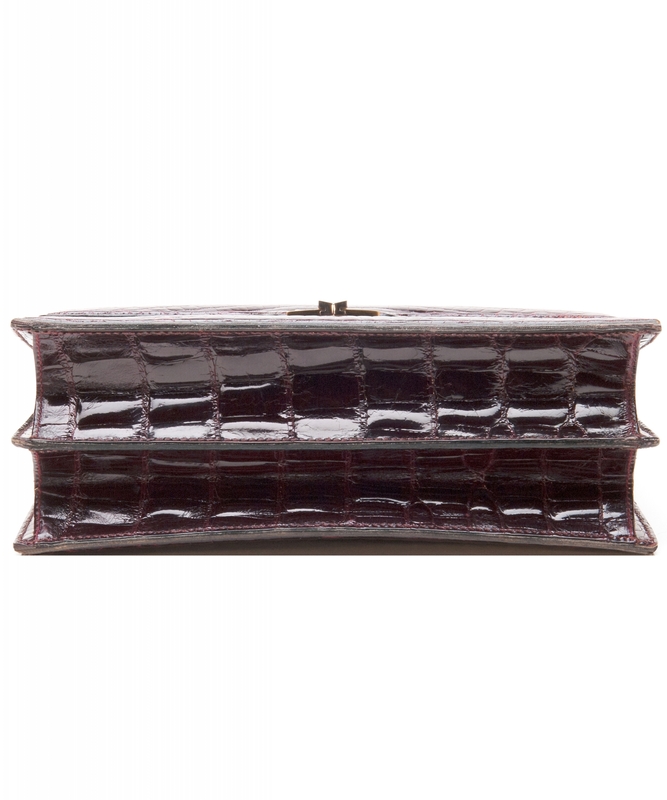 This early 1950s Gucci crocodile top handle has a timeless elegance and is still in an immaculate condition. The epitome of luxury. 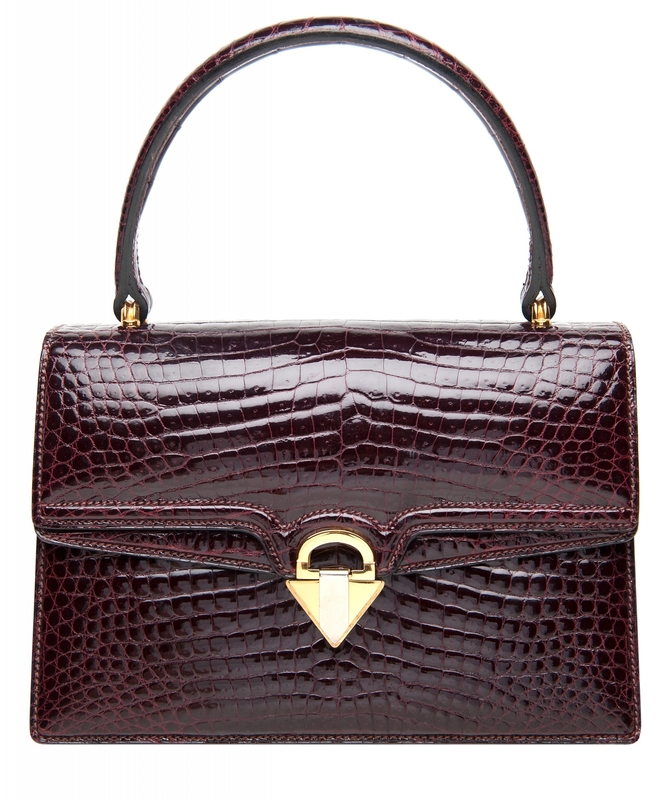 The 1950s were a groundbreaking decade for handbags and purses. By the 1950s, it was generally accepted that women would complete their attire with a suitable handbag. Fashion houses like Chanel, Hermès, Dior and Gucci went out of their way to be different and it showed. 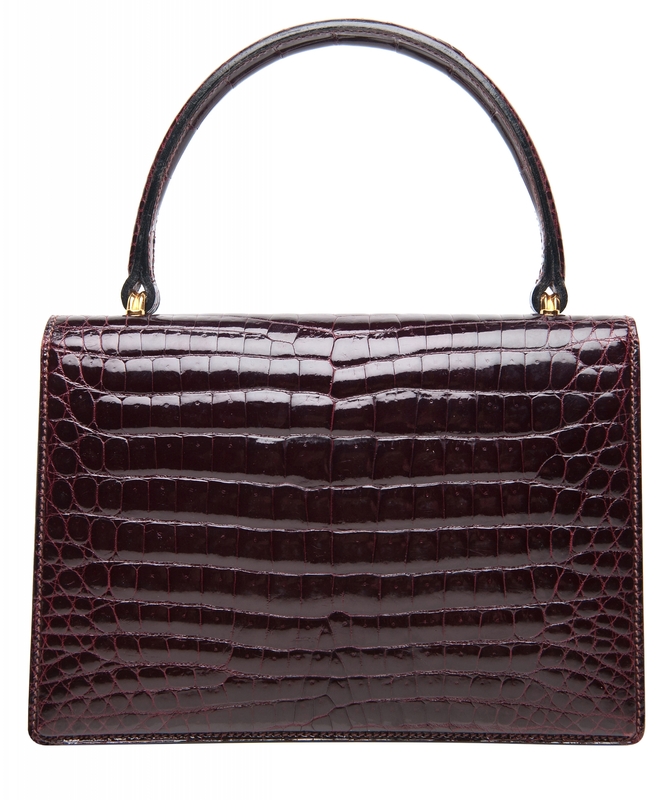 The three famous bags of the 1950s set the tone for women’s daytime handbags. Perhaps the first ‘status handbag’ was the now famous Chanel 2.55, created in February 1955. In 1956, Grace Kelly was pictured holding aloft her classic Hermès bag. 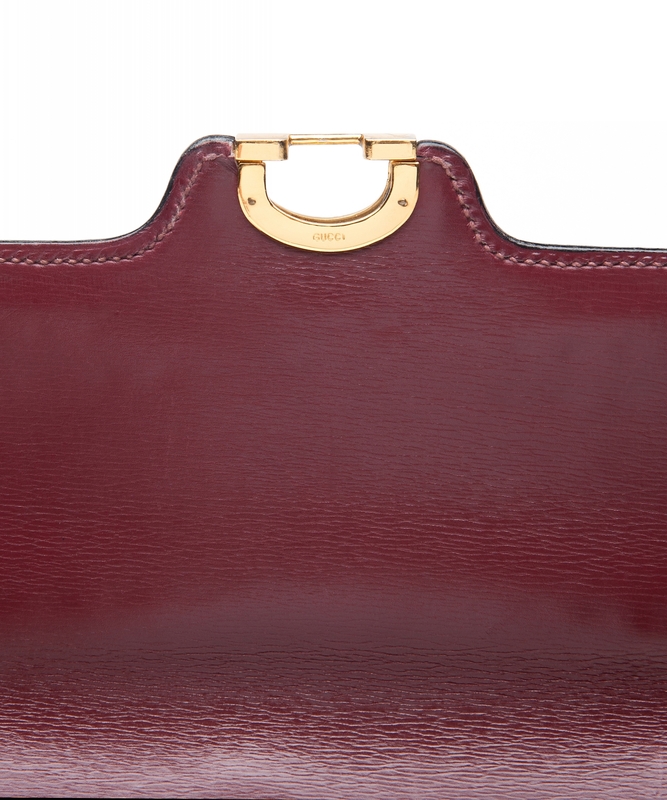 Hereafter, the Hermès travel bag became known as the Kelly bag. 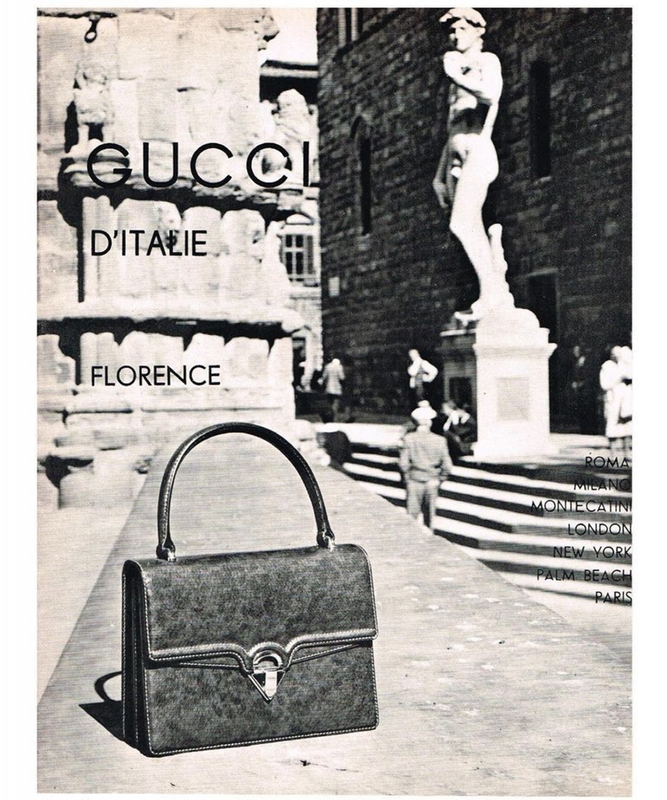 Jacqueline Kennedy Onassis favored her Gucci shoulder bag, causing Gucci to rename it the Jackie bag in the 1960s. An abundance of glamorous celebrities were gracing the covers of newspapers and magazines. The 1950s were a decade of aspirations. Women were expected to aspire to be the embodiment of perfection. If a handbag was going to help them attain this quest, the ownership of said item was at least a step in the right direction. 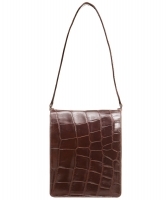 1950s day bags were rich with expensive leather made of exotic skins. Additional treatments, such as quilting, embossed leather, shiny patent, and textured fabrics, added more interest to simple rectangular shapes. New inventions in fasteners, such as the twist lock and a revival of the folding frame, contributed to the sophisticated yet modern aesthetic. 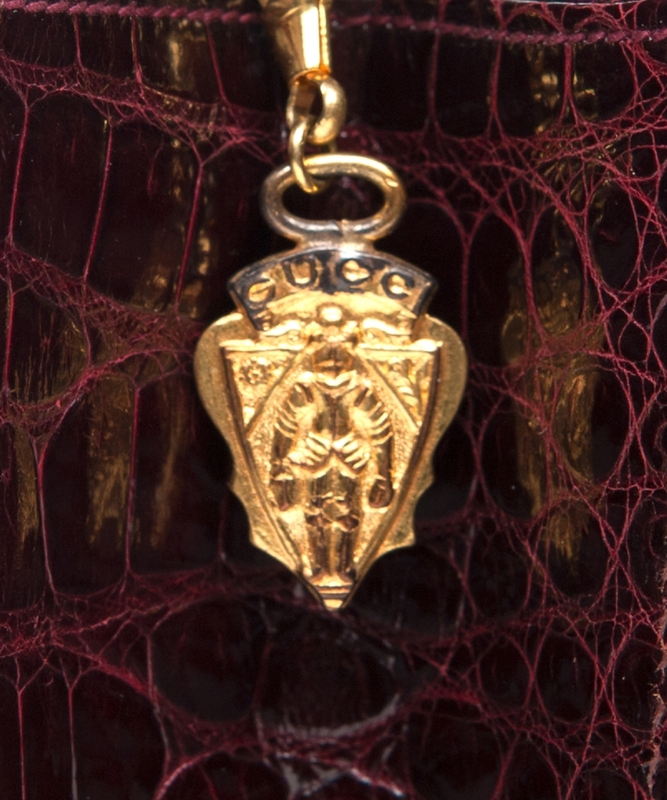 Locks, flaps and trim were frequently made of gold or patent leather to add even more richness. Set against the primary color of the decade, black, the bags were anything but utilitarian. 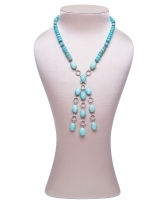 Interior pockets: interior is divided in 2 compartments. 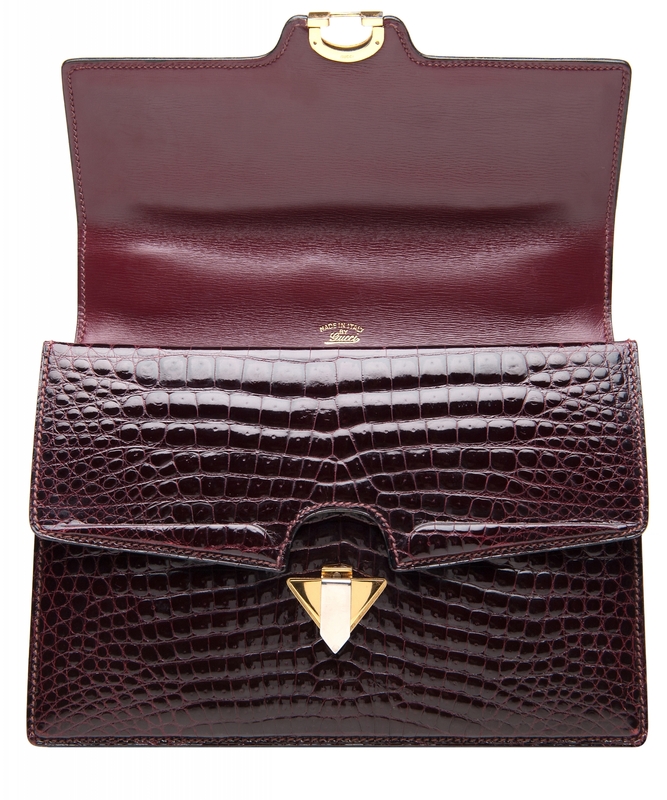 One compartment has a zippered pocket with knight charm and an open pocket. The second compartement has two open pockets and a large flap pocket. Condition: the exterior is clean and in excellent condition. The hardware is bright showing minor hairline scratches. Minimal wear to corners. The interior is clean and in excellent condition.